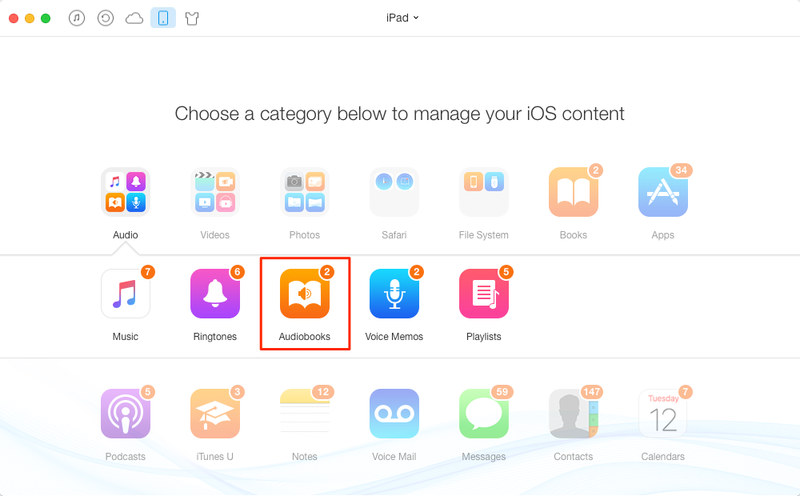 How to Get Audiobooks on iPad with Ease - iMobie Inc.
Do not know how to get audiobooks on iPad? This guide will tell you how to transfer audiobooks from computer to iPad easily. 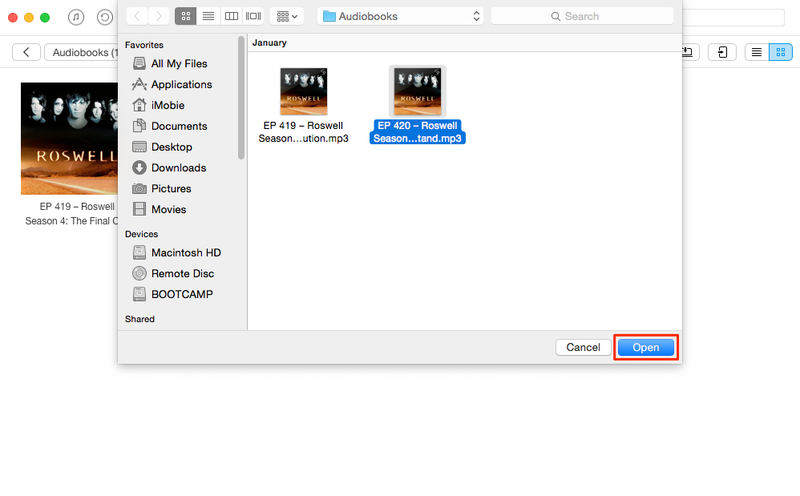 Go to download AnyTrans to manage your iPhone content after reading this guide on how to get audiobooks on iPad. Question: I downloaded dozens of free audiobooks and stored them in my computer. I want to transfer them to my iPad so that I can listen to them anywhere I go. I have tried many ways but failed. Can anybody give me some solutions? Nowadays, we can easily download various audiobooks on computer from the Internet. And for iPad users, sometimes, you may want to transfer some audiobooks from computer to your iPad so you can also listen to your favorite books when you are outside home. To help you solve this problem easily, we strongly recommend you a professional iOS data transfer tool named AnyTrans. Let’s first have a brief look at this tool you need. AnyTrans, an easy-to-use iOS data transfer tool is all you need to put audiobooks on your iPad. 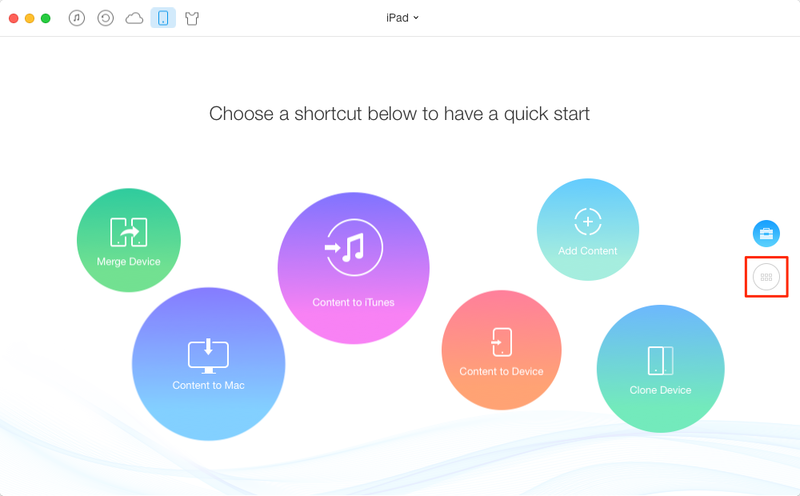 It allows you to transfer all or selected audiobooks from computer to iPad instead of full sync. What’s more, AnyTrans supports multiple transferring directions, so you can also transfer your iPad audiobooks to another iDevice, to computer and iTunes. Besides audiobooks, AnyTrans is expert in managing more than 20 kinds of data on your iPad, like music, photos, ringtones, podcasts, videos, iTunes U, etc. Want to give it a try? Click here to download AnyTrans on your computer and follow us to put audiobooks on iPad in minutes. Step 1: Launch AnyTrans > Connect your iPad to computer > Scroll down or click the button at right. Step 2: Click on Audio on the homepage > Choose Audiobooks. Step 3: Click on "+" button > Browse and select the audiobooks you need > Click on Open. As you can see, you can easily transfer audiobooks from computer to iPad. So why not give it a try? If you have any questions on this guide or AnyTrans, please free feel to contact us via email. We will reply to you as soon as possible.